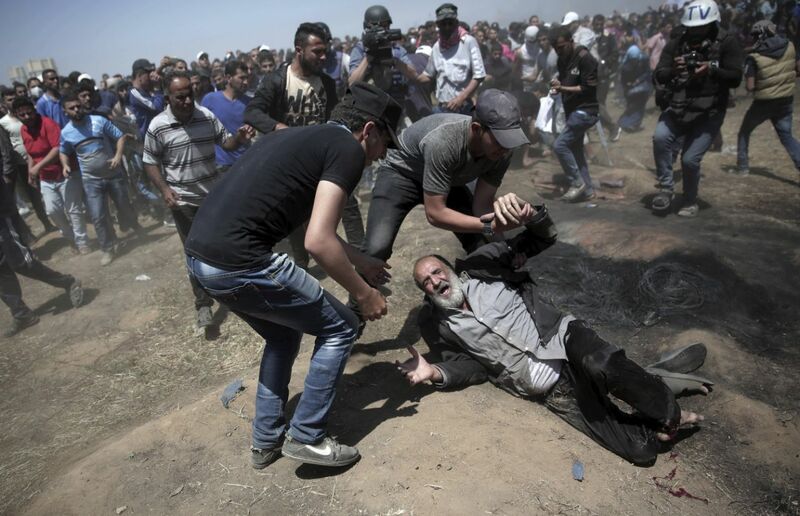 An elderly Palestinian man falls on the ground after being shot by Israeli snipers. Source Yahoo. Published May 14, 2018 at 1280 × 826 in Solidarity on the Eve of the Nakba.